According to the ESPC's own figures, the ESPC currently handles the majority of local sales in West Fife, Edinburgh and the Lothians. 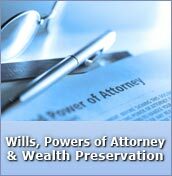 Only Solicitors have access to the ESPC. The ESPC is owned and financed as a collective by local solicitors. If you do not use a solicitor-based estate agent to handle your estate agency, you may be limiting yourself to a smaller market share of potential purchasers. The ESPC have offices in Dunfermline, Edinburgh, Stirling, Falkirk and Kirkcaldy. It is very often a false economy not to use a recognised estate agent to fully market your property before it is sold. The additional interest which can be gained by marketing the sale of your property professionally should have the result in attracting a greater number of viewers to your property and you can expect at the end of the day to receive a higher price. In addition, it only costs £199.20 in West Fife and £307.20 in Edinburgh to obtain full ESPC access, not only to the ESPC branch network but also to the ESPC newspaper, ESPC homepages, and full access to the ESPC website which is a rapidly growing tool in the field of local Estate Agency. For this initial outlay you will continue to have full access to all the ESPC services for six months, or until your property is sold, whichever happens first. When you consider the cost of only one press advert can cost £80-£100, you can see how the ESPC can offer a service which is second to none. 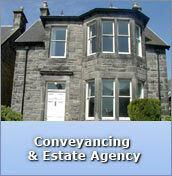 We can also organise a Home Report which is now compulsory for the sale of properties in Scotland. We will do this in with conjunction both with the ESPC and with Allied Surveyors who will provide the survey section of the Home Report. We will also liase with you in the preparation of the sales particulars and the completion of the property questionnaire. If you wish more details please do not hesitate to call. 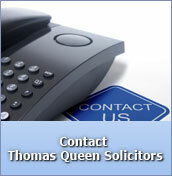 Why not contact Tom Queen to discuss a full pre-sale valuation and marketing appraisal without obligation. You may be pleasantly surprised at the costs involved.